In four separate town hall meetings over the past month, faculty members and administrators have vetted proposals to drastically overhaul the College’s General Education program, according to copies of meeting minutes obtained by The Crimson. The changes discussed would lower the number of required courses and make stricter requirements for departmental courses’ inclusion in the program. 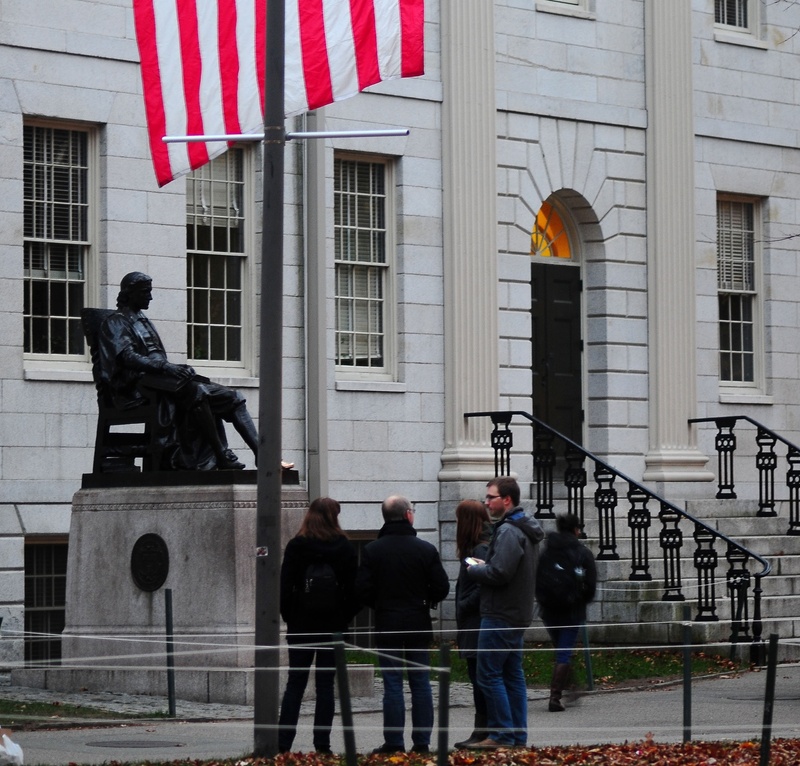 Since last semester’s release of a Gen Ed review that characterized the program as “failing on a variety of fronts,” Harvard’s foundational curriculum has come under fire from faculty who have blamed the report’s findings primarily on the program’s implementation. In the meantime, the Gen Ed review committee has held the four town halls to generate broader faculty discussion and gauge opinions about the current program. The outcome of those conversations, which were closed to the press, will be on display Tuesday, when the committee is expected to present a summary of recommendations to the Faculty of Arts and Sciences, according to the minutes of the final town hall meeting, held Oct. 27. At the Faculty’s December meeting, the committee is slated to propose formal legislation, on which professors would vote in the spring, according to the minutes of the final town hall. According to the meeting minutes, which detail the back-and-forth between attendees but do not name most individual speakers, committee members have discussed proposing three main changes to the Gen Ed program: It generally should no longer include “back of the book,” or departmental, courses; the program should have fewer requirements; and “some version” of the Empirical and Mathematical Reasoning requirement should continue as an additional quantitative reasoning requirement. The current Gen Ed category of Empirical and Mathematical Reasoning received particular scrutiny at the meetings: It was described as a “failure” because of its lack of true Gen Ed courses and inclusion of primarily departmental courses. At the four town halls, some attendees suggested that the program is too restrictive for students with its eight required courses. Conversations at the meetings focused in part on lowering the number of required Gen Ed courses, which attendees said would give students more freedom to explore elective courses. Committee members and professors have previously suggested that there are too many courses in the program with department offerings counting for Gen Ed credit, leaving it unwieldy and lacking a defined identity. But several attendees of the fall’s town hall meetings suggested that reducing the number of requirements might delegitimize the Gen Ed program. Other attendees worried that Gen Ed course enrollment sizes would increase if the program included fewer requirements. Attendees also discussed loosely structuring revised requirements around FAS’s three divisions—arts and humanities, social sciences, and sciences—and including requirements that involved ethics or ethical reasoning. The committee’s loose belief is that “Gen Ed courses should get as much if not more support as HarvardX courses get,” according to the final meeting minutes. Specifically, committee representatives outlined three other proposals to faculty members at the town halls: They suggested that the Bok Center for Teaching and Learning should provide faculty with course development support; sections for Gen Ed courses should have a target size of 12 and a cap of 14; and Harvard should train training teaching fellows specific to the program. More broadly, committee members also said that departments should think of the program as important to their teaching obligations. The Gen Ed review committee began its work in the spring of 2014 as part of the first review of the program since its launch in 2009. In the years of crafting and implementation leading up to the launch, the program became a victim first of administrative turnover and then financial uncertainty, when resources and administrative attention were siphoned away to deal with the impacts of the global financial crisis. As a result, the program failed to address many of the criticisms that plagued its predecessor, the Core.